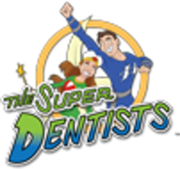 The Super Dentists are San Diego's largest and most trusted Pediatric Dentist, Orthodontic and Parent Dentistry practice. We create the most unique and out-of-this-world dental experience for children and their parents. We are the only dental practice where kids ask, and even beg, their parents to take them to the dentist - imagine that! We offer the newest technologies for the most comfortable, safe and effective dental treatments. The Super Dentists accept most insurance, including Medi-Cal, and is available on the weekends and for emergencies. With 5 locations throughout San Diego and growing, the practice gives back to our communities whenever possible by hosting free quarterly events, and complimentary dental care to those in need. Rate and review The Super Dentists in Chula Vista, CA, United States! Share your experiences at The Super Dentists with your friends or discover more Dentists in Chula Vista, CA, United States.